Foods like apples, blueberries, spinach, nuts, fish oils, etc. have been found to be highly beneficial for boosting brain function. 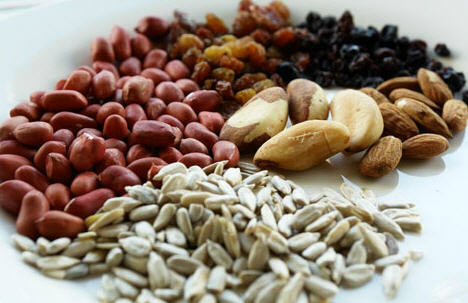 Thus, you can improve your memory and brain power by having foods rich in nutrients that keep the brain cells healthy. For instance, B vitamins such as vitamin B1 (Thiamine), B3 (Niacin), B6 (Pyridoxine), B9 (Folic acid), and B12 (Cobalamin) are good for brain because they help improve memory, attentiveness, and avoid mental confusion, even depression. In addition, researchers believe that vitamin E protects against the degeneration of nerve cells and preserves brain function. Plus, antioxidant like vitamin E and vitamin C protect the brain tissue from damage by free radicals. However, smoking and intake of alcohol beverages tend to interfere with the absorption and storage of most vitamins in the body. Consequently, a healthy diet lays emphasis on kicking the habit of smoking and limiting alcohol consumption. Almonds, walnuts, peanuts, pecans, sunflower seeds, pumpkin seeds, and flax seeds aid in developing better memory and brain power, and preventing cognitive decline because they are rich in antioxidants and omega-3 fatty acids. For example, you can munch on a handful of walnuts on a regular basis to improve inferential reasoning skills (ability to discern true from false). These skills play an important role in critical thinking and decision making. Furthermore, almonds contain a chemical called phenylalanine, which improves your mood and supports healthy brain function. Spinach, broccoli, Swiss chard, arugula, lettuce, kale, asparagus, Chinese cabbage, Brussels sprouts, turnip greens, beans and lentils are considered highly beneficial for brain health because they contain folic acid that boosts memory and cognitive function. Moreover, it protects against metal problems like depression and dementia. 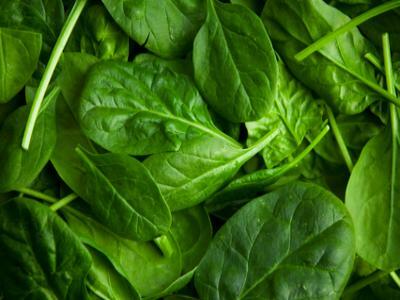 Dark green leafy vegetables are also packed with vitamin A, vitamin C, vitamin K, iron, calcium, and so on. Thus, in order to include these foods in your diet, you can add collard greens, or mustard greens in soups, and argula, spinach and lettuce in salads. Besides, you can use them in stir-fries and sauces. Taking a bowl of blueberries can prove useful in enhancing memory and promoting brain health. Moreover, recent studies suggest that polyphenols present in this fruit can slow down the rate of age-related cognitive decline. It is loaded with Vitamin C that helps in improving the overall performance of the brain. You can enjoy this nutritious fruit by including it in salads, smoothies, or simply prepare a snack by mixing blueberries and nuts. Furthermore, fruits like blackberries, strawberries, cherries, oranges, apples and avocados, too, boost brain power. Having two cups of green tea regularly also benefits the brain. In fact, the nutrient present in green tea can help prevent and cure brain disorders such as Parkinson’s disease. Being rich in antioxidant like Vitamin E, it reduces cognitive decline as the brain ages and combats dementia. 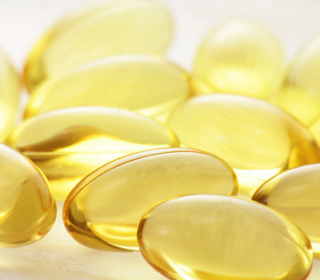 Fish oils contain omega-3 fatty acids that are considered important for healthy brain function. They improve your thinking skills and memory, and lower the risk of developing conditions like Alzheimer’s disease and other forms of dementia. Moreover, a diet consisting of dairy products and a mix of whole grain foods such as wheat germ, wheat bran, oatmeal, cereals, etc assists in increasing brain power. As milk is packed with essential vitamins and minerals, it enhances cognitive brain activity. Plus, Ginkgo biloba herb can improve learning ability and stimulate blood circulation to the brain. Turmeric spice, whether the fresh root or dry powder, also promotes brain health and prevents neurological diseases. • Meditation– it boosts brain function by activating the prefrontal cortex of the brain that plays an important role in cognitive control. It regulates your behavior and facilitates abstract thinking. • Fitness– regular physical activity and exercise for at least 15 minutes daily benefits your brain health, too. • Use self hypnosis audios to explore more resources of your brain. • Getting sufficient sleep, that is, six to eight hours in a day helps in boost your memory and learning skills.